Today's the day! The start of the Winter Coffee Lovers Bloghop begins at 9:00 am pacific time! 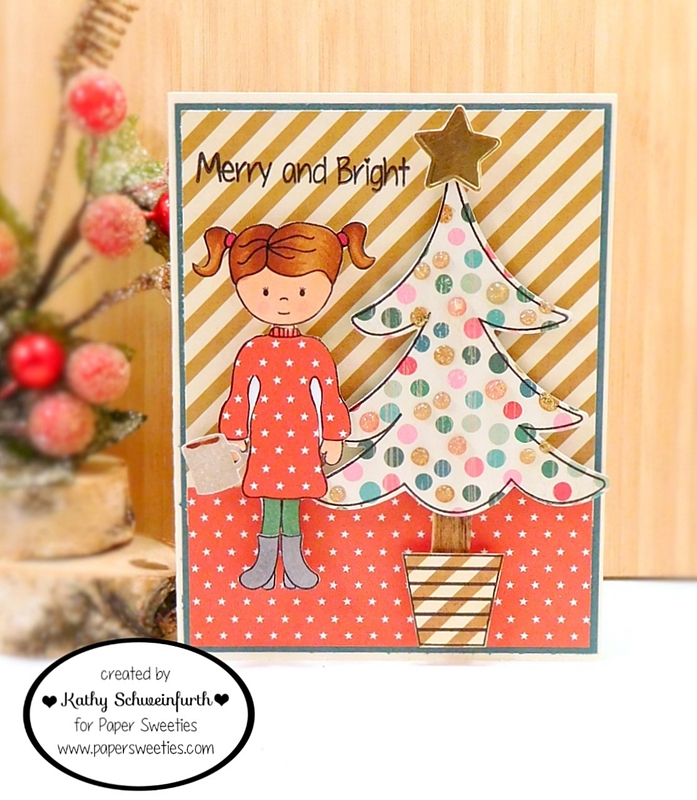 Break out those coffee/tea/cocoa stamps and dies and create winter/holiday projects to play along! There's tons of amazing inspiration and camaraderie, not to mention PRIZES to be won by fabulous Super Sponsors such as Paper Sweeties! For my card, I used several adorable Paper Sweeties goodies! Emma is all decked out in her Take Life One Cup At a Time outfit and enjoying a cup of java. 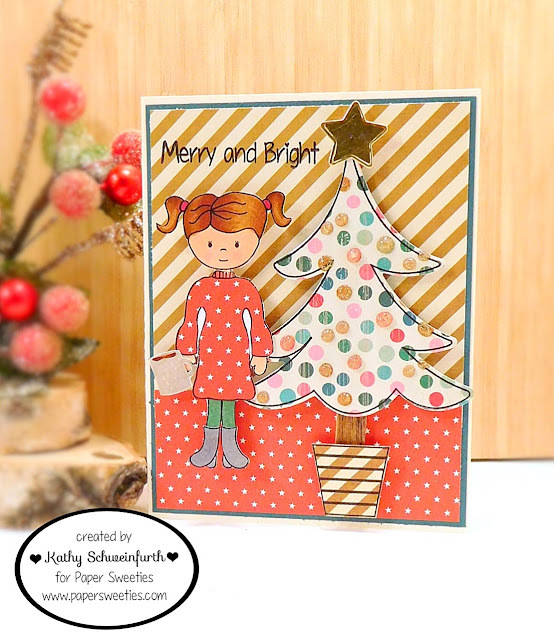 Her festive Christmas tree was created by stamping/cutting pattern paper using the Merry and Bright stamps/dies. What a cute card, Kathy! Emma is just darling with her cup of cocoa next to the Christmas tree! Kathy your card is just adorable, Emma is so cute. Great job on your paper piecing. I love that little girl and that cute tree. Awesome job of piecing. Sweet little girl, love the paper piecing! Kathy, how sweet! I want a polka dot tree! Oh my goodness, how cute is this? Lovely card with great use of all the different papers! Nice paper piecing on your card.